- Bore & stroke: 11 in. x 14.2 in. Length (over coupling points): 46 ft. 4 in. 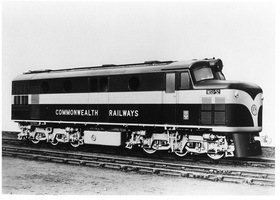 Remarks: All units to Australian National Railways in 1975. 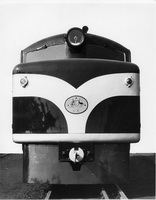 Diesel locomotive with A1A-A1A wheel arrangement, built by Birmingham Railway Carriage & Waggon Co..
3.6.1954 Entered service as "NSU 51". Built by Birmingham Railway Carriage & Waggon Co., England, builder No.DL1. 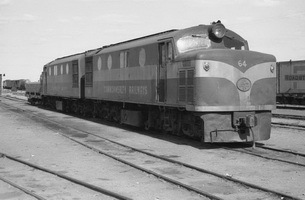 24.6.1954 On first diesel hauled northbound Ghan with NSU 52. 14.6.1980 To Pichi Richi Railway. 26.5.1954 Entered service as "NSU 52". Built by Birmingham Railway Carriage & Waggon Co., England, builder No.DL2. 24.6.1954 On first diesel hauled northbound Ghan with NSU 51. 24.4.1982 To Pichi Richi Railway. 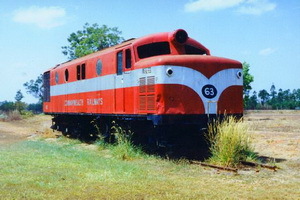 6.1986 Hired by Australian National for use on the Orroroo line. 30.8.1986 Returned to Quorn after hiring to Australian National. 30.5.1997 TIMS/WMS: shows locomotive "NSU 52 M" in AN "Mainland Division". Diagram Book Page No. : "NN 4"
27.7.1954 Entered service as "NSU 53". Built by Birmingham Railway Carriage & Waggon Co., England, builder No.DL3. 11.1967 To North Australia Railway. 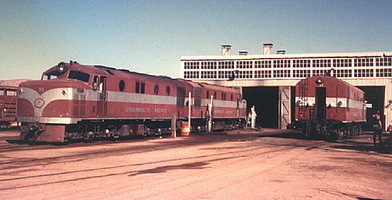 10.1971 To Central Australia Railway. 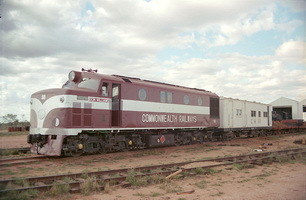 29.10.1981 To Alice Springs for Rail Recovery. Sold to Roberts Recovery unit. 23.9.1982 Last used on Oodnadatta to Ewaninga section. - To Ghan Preservation Society, Alice Springs. 15.12.1954 Entered service as "NSU 54". Built by Birmingham Railway Carriage & Waggon Co., England, builder No.DL4. - Station at Quorn for a period ending 1960. 20.9.1983 Tender called for disposal at Port Augusta. 1983 To Pichi Richi Railway. 24.12.1954 Entered service as "NSU 55". Built by Birmingham Railway Carriage & Waggon Co., England, builder No.DL5. 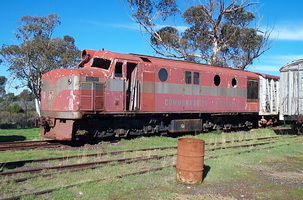 - Used on Marree Rail Recovery. 16.1.1994 To Steamtown Peterborough ex Marree. 31.12.1954 Entered service as "NSU 56". Built by Birmingham Railway Carriage & Waggon Co., England, builder No.DL6. 1972 To North Australia Railway. 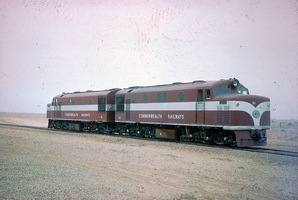 1975 To Central Australia Railway. 22.10.1981 To Rail Recovery Marree. 2.2.1955 Entered service as "NSU 57". Built by Birmingham Railway Carriage & Waggon Co., England, builder No.DL7. 20.9.1983 Tender called for disposal at Marree. 14.1.1955 Entered service as "NSU 58". Built by Birmingham Railway Carriage & Waggon Co., England, builder No.DL8. - Used frequently at Peterborough and Gladstone. 3.3.1982 Written off, but actually used after this date. 20.9.1983 Tender called for disposal at Peterborough. The tender was not proceeded with. 17.12.1986 TIMS/WMS: locomotive "NSU 58 U" alteration complete: "apply check letter to class & number of approximately 443 locomotives, passenger cars and rail cars. Classify Overland sleeping cars. (RS4173)". 6.7.1987 Transferred from Peterborough to Gladstone. 7.7.1988 To Ghan Preservation Society, Alice Springs on flat AZQF 1966. 8.3.1955 Entered service as "NSU 59". Built by Birmingham Railway Carriage & Waggon Co., England, builder No.DL9. 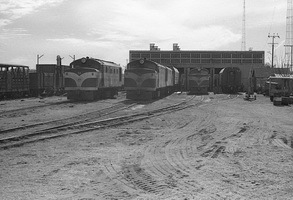 1981 To Alice Springs Rail Recovery. Sold to Roberts Recovery unit. 18.2.1955 Entered service as "NSU 60". Built by Birmingham Railway Carriage & Waggon Co., England, builder No.DL10. 20.3.1955 Entered service as "NSU 61". Built by Birmingham Railway Carriage & Waggon Co., England, builder No.DL11. 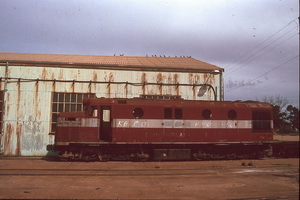 1980 Stored Port Augusta, partially stripped. 1985 To Mile End Railway Museum. 19.7.1988 To Port Dock Station Railway Museum. 25.5.1955 Entered service as "NSU 62". Built by Birmingham Railway Carriage & Waggon Co., England, builder No.DL12. 27.11.1972 To North Australia Railway. 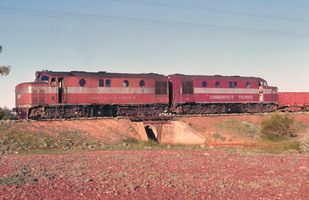 1974 To Central Australia Railway. 16.6.1994 To Steamtown Peterborough ex Marree. 9.7.1955 Entered service as "NSU 63". Built by Birmingham Railway Carriage & Waggon Co., England, builder No.DL13. 11.1956 To North Australia Railway. 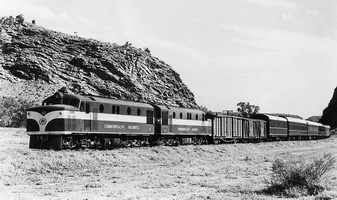 11.1967 To Central Australia Railway. 6.2003 Moved to Adelaide River. 12.10.1955 Entered service as "NSU 64". Built by Birmingham Railway Carriage & Waggon Co., England, builder No.DL14. 16.8.1956 To North Australia Railway.